We’ve written a few pieces about the Cotswolds this week, in honor of our new self-guided hike through the region. We’ve introduced the new tour, we’ve written about the architecture, and we’ve mentioned some of the notable authors that found their inspiration in this enchanting corner of England. What we haven’t really talked about, though, is the hiking. What are the hikes like? How long are the days? How high are the hills? To answer these questions, let’s define what the Cotwolds are in the first place. The word ‘Cotswolds’ is actually a combination of two very old English words, ‘cots’ and ‘wolds’. While there is some debate regarding the etymology of these two words, most people tend to agree that ‘wolds’ are gentle hills and ‘Cots’ are sheep enclosures, though some argue that the word ‘Cots’ could also refer to a personal place name or simply mean ‘high open land.’ Without analyzing it any further, let’s just say that the Cotswolds refers to a region of gently rolling hills, peppered with sheep farms and crisscrossed by stone walls and cobblestone lanes, the perfect tapestry for a long distance hiking trail. The Cotswolds Way achieved National Trail status in 2007 and is literally a patchwork of routings through farmland, moorland, woodland, villages, backyards and country roads. (In case you’re wondering, a moor is an area of rough, grassy high ground with exposed rocks. It’s typically higher than the surrounding landscape but not exactly mountainous). The full route is about 102 miles long and can be done in a variety of configurations with the majority of the trail following the Cotswolds Edge, an 80-mile long, uplifted, eastward-tilting escarpment of limestone bedrock. 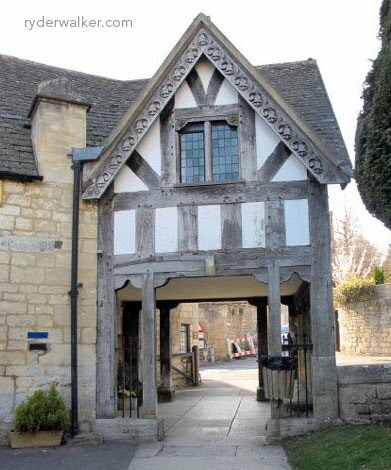 Compared to other Ryder-Walker tours, the Cotswolds Way might seem relatively easy. The hike offers negligible ascent, and Cleeve Common, the high point of the tour, rises a mere 900 feet above sea level. That said, don’t underestimate the quality of this undulating adventure. Depending on the length of your schedule, some days can be quite long, as much as 16 miles in our recommended itinerary. Our itinerary travels from north to south, from the quintessential Cotswolds village of Chipping Campden, to the World Heritage City of Bath. We prefer this direction for three reasons. One, to begin in Chipping Campden is to dive right into the Cotswold groove in one of the region’s most delightful villages. Two, the entry to Bath is dramatic and makes a fine finish. 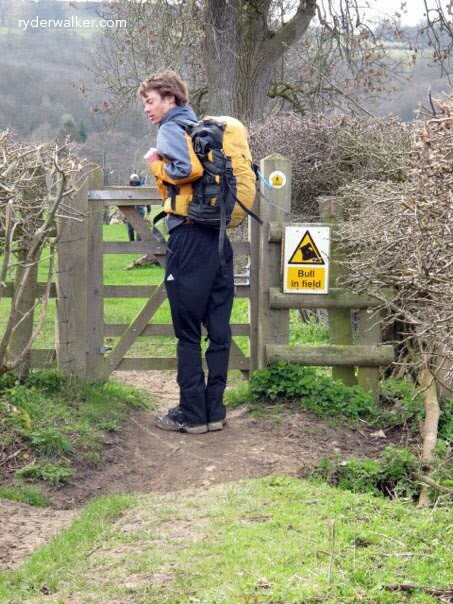 Three, the entry to Bath is also the longest day of the trek and is best tackled when one is fit and used to the pacing of the Cotswolds Way. Note: we can make most days shorter by car and van shuttles if desired. In fact, we can customize this itinerary in myriad ways. Just ask! The Cotswolds region is unique in that it’s rich in Neolithic sites. The area is home to more than 400 Bronze Age barrows, 80 long barrows, and 32 Iron Age hill forts. Belas Knap is one of the largest long barrows, while Hetty Pegler’s Tump invites visitors to crawl around inside (day 7 of the tour). Equally inviting are the pubs, and it’s hard to talk about England without mentioning them. The places are cozy, with wood fires, home cooked meals, and, of course, plenty of ale or wine. You’ll find pubs in even the tiniest villages, and the bar meals they serve are some of the best found anywhere. As with all our tours, you can pack a picnic lunch or buy something when the opportunity presents itself. As luck would have it, most hikes on the Cotswolds Way land you near a pub right about lunchtime. Did the trail developers plan it this way? Maybe. Are we complaining? Certainly not. Almost all Cotswold villages of decent size also feature an Indian restaurant. The English were big fans of Indian food, and we are too, it’s a nice way to spice things up. Finally, the accommodations on this tour offer a delightful mix of four star hotels and intimate B&B’s. The places that we’ve selected are well appointed, and they exude historic charm and character. Think hand-hewn wooden beams, half-timbered walls, stone hearths, and fluffy down comforters. If you’ve ever dreamed of stepping into a storybook, this is your chance.